Today, the general assembly of the German Atomic Forum DAtF (Deutsches Atomforum e.V.) has confirmed unanimously the election of the DAtF Presidential Council of Prof. Dr. Winfried Petry for Vice President. The scientifc director of the Forschungs-Neutronenquelle Heinz Maier-Leibnitz (FRM II) and full professor for experimental physics at Physik-Department is now member of the Presidential Council next to Dr. Ralf Güldner (President), Stefan vom Scheidt (Vice President) and Ernst-Michael Züfle (treasurer). 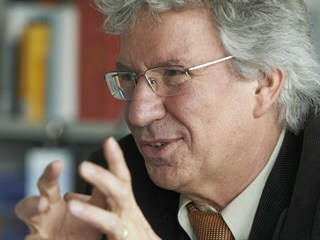 Prof. Petry succeeds Dr. Peter Fritz, who will still be member of the Presidential Council. “In my time as vice president I want to emphasize the high value of science and research in the nuclear field for a leading industrial nation as Germany. Despite the planned nuclear power phase-out in, Germany has to continously take a leasing role in the nuclear research. Thus we have enough power to influence international standards and attract researchers from all over the world to Germany, which offers the necessary know-how”, says Prof. Petry on the occasion of his election.